Featured image: Drug production rates in Afghanistan have been skyrocketing every since Washington invaded that country. 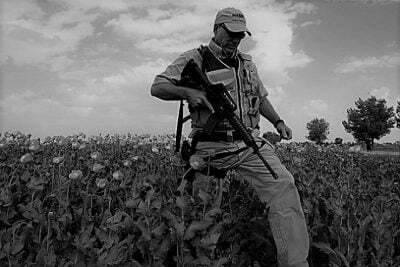 In an interview titled, “Blackwater Founder Backs Outsourcing Afghan War-Fighting to Contractors,” Prince would defend his proposal for the creation of an “American viceroy” in Afghanistan, consolidating and overseeing all US operations in the country. Steve Inskeep, who conducted the interview, noted that Prince’s proposal for an “American viceroy” overseeing what is essentially a private army inside of Afghanistan resembled very closely Imperial Britain’s colonial administration of India, an administration that carved out personal fiefdoms for influential British businessmen and lords, and emptied out India’s wealth into British coffers. Prince, for his part, attempted to defend the proposal, claiming that current efforts in Afghanistan have cost American taxpayers several trillions and the cost would only continue to rise. He noted that such efforts have resulted in little progress. The “progress” Prince was referring to was defeating “terrorism” and preventing the country from becoming a safe haven for organizations like Al Qaeda and the Islamic State. There’s really three ways we can go in Afghanistan. We can pull out completely, in which case, the Afghan government would likely collapse in a matter of weeks and the terrorists would run the country. And for as hard as, you know, we may be pushing in Iraq or Syria and elsewhere to destroy the Islamic State, this would give them a victory. In Afghanistan, while Al Qaeda and the Islamic State are used as a pretext for both the continued presence of US troops there and now the proposed deployment of a private army headed by an “American viceroy,” the real battle has always been against the Taliban and in favor of an obedient client state headquartered in Kabul. Private contractors seek to maximize profits and return home, and ultimately do not care what happens in Afghanistan. In many ways, shoddy work and continued chaos ensures continued contracts and immense profits. The estimated 2.4 trillion dollars spent on Afghanistan so far have not simply “disappeared.” This immense amount of wealth has been transferred from US taxpayers to, in part, private contractors and the defense industry. The notion of creating an “American viceroy” leading a private army in Afghanistan would give people like Erik Prince and other ambitious heads of contracting firms an entire nation to preside over and a government-subsidized budget to do it with. With the nation’s immense narcotics industry and that industry’s apparent ability to export worldwide under the nose of the US military with impunity, contractors notorious for systemic impropriety would have additional sources of revenue to tap and develop. A look at the Late Roman Empire, and the manner in which mercenaries transformed into independent entities of their own, complete with their own territory and armies that answered only to themselves, serves as a cautionary reminder as to where Prince’s proposal ultimately leads. What this latest debate illustrates is the evolution of modern organized crime, a culmination of blood, money, guns and turf on a global scale, carried out not by states, but by corporations and private armies. But if one is to dismiss Prince’s criminal conspiracy and take his proposal at face value, it should be remembered that if the US military with 2.4 trillion dollars and 16 years could not transform Afghanistan into an obedient client state, mercenaries certainly can’t and won’t. Prince’s claims that contractors, or even the US military itself have any role to play in combating “terrorism” by remaining in Afghanistan deserves further scrutiny. The United States itself, ironically, played a central role in Afghanistan, creating, honing and expanding Al Qaeda’s fighting capacity there, before it spread worldwide. Al Qaeda and the Islamic State’s presence in Afghanistan is a symptom of this global web of terror sponsorship, not its source. 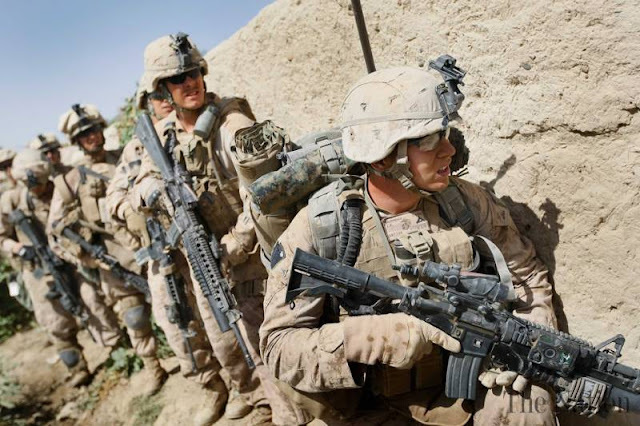 The war in Afghanistan has dragged on for what seems an eternity, because attempting to defeat a problem by fighting its symptoms can only take an eternity. For Prince, the US media who entertained him and the US government who will attempt to facilitate his and the defense industry’s ambitions, were they interested in truly combating terrorism, they would be raising armies outside of Riyadh, Ankara, Doha and perhaps even DC. That they seek to raise them in Afghanistan indicates that they seek not to fight terror, but to perpetually profit from it.